Has anyone noticed this trend? Jane Eyre, Caroline Helstone, Shirley Keeldar and Lucy Snowe are the only children in their families. At least I think Lucy is. She mentions her relatives die, which is probably a reference to Charlotte's dying siblings, so Lucy might have had siblings, but since they are dead for most of the book she is technically an only child. It's a common tactic, even in Victorian novels, to have small families. There's too much bother making up big families. Hence the unusual prevalence of two-child families in an era that didn't use contraceptives much, where 5 children might be more accurate. Still, it is curious that Charlotte had all her heroines only children. Come to think of it, so is Frances Evans Henri. But why? You could say, the same reason why many heroines are orphans. If they have no brothers or sisters, theoretically they have more freedom to do as they please, instead of having to provide for a family, or depending on a brother for their maintenance. If Jane Eyre had a brother she may not have to work so long as a governess. If Frances had a father or brother she wouldn't have been a lace-mender. And this is important in Charlotte Brontë, because it casts the heroine in a tragic light. They are independent women forced to earn their own living - part of the Woman Question in the busy, changing and yet idyllic to later decades 1840's. This is what makes Charlotte Brontë universal; Jane Eyre is set in the Romantic era (say the 1810's or 20's) but the themes are of Charlotte's own era, the 1840's. This technique of using the past to reflect the present is useful, because it shows you how things haven't changed, if the issue works in both eras. Then if they had family, the patriarch push his ideas on her, and she wouldn't be so free to think. As an orphan she would be uncurbed. A notable exception is Caroline Helstone, but then in the beginning of the novel her mother has left her with her crusty uncle who is a bit of a misogynist. He leaves her to her own devices, which is why she has deep and profound thoughts on poetry. In Shirley you have the anomaly of two only children, who are the two heroines. In any other novel, one only child is perhaps nothing. But to have two? Shirley, I never had a sister - you never had a sister, but it flashes on me this moment how sisters feel towards each other ... I am supported and soothed when you - that is, you only - are near, Shirley. Do you believe me now? It is the search for an equal that makes the novel essentially warm-hearted. The friendship would not seem so wonderful and intense had they had sisters to look after in the first place. It could also explain why both are visionary and independent-thinking women, though far better off than other Charlotte Brontë heroines financially. You see this too in Jane's vehement affection for Helen Burns, and later, Diana and Mary Rivers. The lone traveller finding a sister-figure in the end - it is so touching, and a good resolution for any Victorian novel. Because good Victorian novels have some resolution. While other novels might go and describe the warmth between two sisters, here we see an actual development from acquaintanceship to close friendship, something that is taken for granted in a family surrounding. This itself is a journey, perhaps a wishful fantasy on Charlotte's part. She loved her sisters, but then Emily and Anne loved each other more than they loved Charlotte, and Ellen Nussey wasn't intellectual. Sure, there was Mary Taylor, but Mary desired liberty in New Zealand so much she was willing to part with her English friends. In Shirley and Caroline's friendship there is both emotional and intellectual attachment in one friend - something Charlotte didn't experience (except with Mary, but I think Ellen was closer to her). A very important point is the solitary Romantic wanderer. Charlotte loved the Romantics. She immortalised them in Jane Eyre and she has chosen their era for Shirley. An only child obviously is more likely to be alone in the world, and so apart from the independence and forced to earn for a living in Jane Eyre, Villette and The Professor, we look at the emotional, personal aspect - the loneliness. Villette is essentially a novel about loneliness. Lucy Snowe may be an independent, free-minded woman, but she also desires affection. Charlotte was fortunate to have sisters to talk and write to. Lucy is less fortunate, because she is an only child, and this way Charlotte intensifies the loneliness felt by Lucy, by Jane, Caroline and Frances. Shirley enjoys being alone and anyway she has many friends so she is not strictly counted. Charlotte was horribly lonely in Brussels after Emily left. With no one to speak to all the time, shunned by the Hegers, she evoked this sensation vividly. It was like being an only child. Who else before Charlotte had evoked loneliness so well in literature? Who else told it truthfully, vividly and convincingly and has survived to the present day? 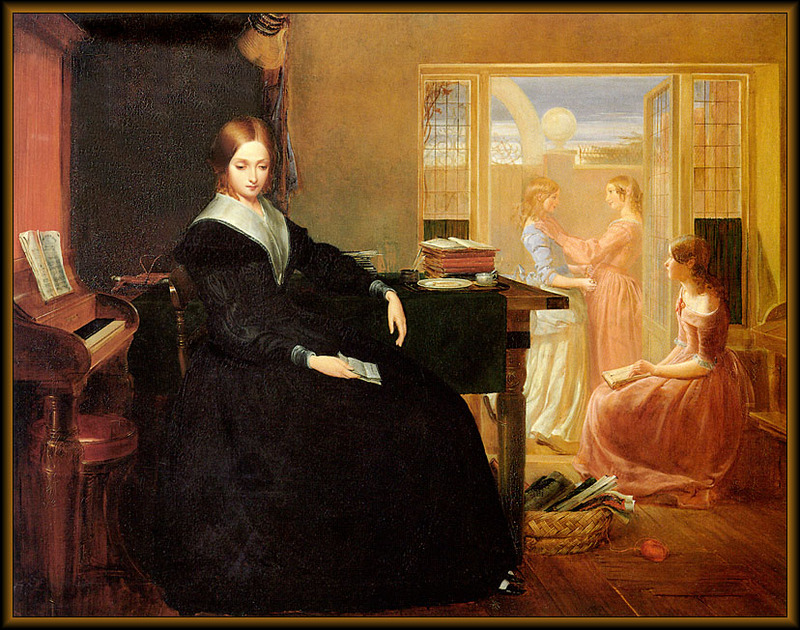 Classic Victorian literature did not know a truly lonely heroine till Charlotte Brontë came into the publishing world. It shows the vulnerability of a weak force, unconnected, having to struggle in the world - what she was concerned with. And intensity of emotion is characteristic of Charlotte. Interestingly, Paulina Home and Shirley, both only children, are not lonely people. Paulina genuinely enjoys being alone (apart from the times she seeks out Lucy's friendship) and Shirley has many people to talk to and doesn't care much for them anyway. And John Graham Bretton is also an only child. Dr John's case is more likely to be a conservation of characters on Charlotte's part so that is probably insignificant. But here's a theory: assuming there really was a reason why 3 characters in Villette are only children is to illustrate how people in similar circumstances can turn out so differently. Lucy is an only child and she is lonely. Paulina is an only child, she is petted and loved, and not lonely, though slightly awkward. Graham is an only child, spoilt and loved, successful in the world. Yes, the fortunate two have money on their side, but something inherited and "constitutional" plays a part. Pauline is naturally graceful, intelligent and sweet. Graham is naturally clever, lively and charming. Lucy is intellectual and passionate but not graceful, sweet or charming. Polly hero-worships her, but that is because Lucy is sensible and seemingly steady, not giddy like her shallow cousin Ginevra. Both girls intend to improve themselves by learning German, and instead of gabbling away, derive pleasure from just being together without saying much. Caroline is the most fortunate, in having people in the neighbourhood who care for her e.g. Mr Hall, the Moores, her uncle. There is a kind of Victorian domesticity here, unlike Jane Eyre and Lucy Snowe, which are not set firmly in any year, and yet have a Romantic quality to their characters. Charlotte was trying to be more ordinary and realistic here. And yet all the people apart from Shirley whom she loves are much older than her, which makes her seem even more a child compared to them. She has this impression of being mothered or fathered by other people, rather than befriended as a peer (excepting Shirley, who is sort of elder-sisterly to her). How intense are these affections! More familial than friendly, I think, a substitute for the lack of parents and siblings. I have omitted to mention Frances Henri. Less well-developed than the other heroines, she comes to work in Brussels as a lace-mender and teacher, where she meets her future husband, William Crimsworth, that unloveable creature. Now The Professor differs from the rest (except Shirley, maybe) in that the hero is seen as a protector for the heroine. I know Mr Rochester and M. Paul do provide for Jane and Lucy but those are largely independent before the suitor thing comes along. Well, so is Frances, but she seems to enjoy submitting even more than her fellow-heroines. Caroline is provided for by her uncle, and Shirley has her own fortune, so the effect of relying on a suitor/husband to provide isn't so strong as in Frances and Crimsworth. Yes, Frances insists on working even after marriage, but there is still a strong sense of deference to her husband. And remember Charlotte intended for the book to be called The Master, only to change it at Williams' advice (I think? But it was never published in her lifetime.) And Crimsworth keeps on harping on how he needs to earn a living to support Frances. (So does Robert Moore, but his affections turn away for a while, and he's thinking not so much as how to support a wife as how to survive). Now if Frances had a brother we wouldn't have the submission scenes. We wouldn't feel the sweet air of vulnerability around her as Crimsworth does. And she wouldn't have educated herself so well with siblings to look after. With time on her hands she reads poetry and buys books and thinks. Human relationships, it seems, can perturb the solitary intellectual self in Charlotte Brontë. This would explain why a lot of the heroines' thoughts are turned to liberty and freedom. In contrast the heroes all have brothers (some of them antagonistic), which means the heroes are more steady in a sense, which makes them ideal protectors of the delicate heroines. But it could mean that the girls are somewhat naïve and unseasoned about human relations, since they have no siblings, compared to the heroes. Though independent and perceptive, this naïveté in the heroines is important to emphasise on how unfit they are in the world. "How can you expect delicately nurtured females to fend for themselves, at the beck and call of stupider oafs?" I can hear Charlotte shouting. Naïveté is not only the privilege of the genteel and ladylike, but also a Victorian way of illustrating innocence, compared to the false flirtations of more worldly young ladies. You will see a lot of this in Shirley. Alternately, perhaps Charlotte was a radical in her own way. Before her, the solitary wanderer was traditionally a man of education and learning, stuff she would have picked up from Wordsworth and Byron, her heroes. The Romantic intellectual is a gentleman, not a lady. Female bluestockings were society ladies or those who mingled with fellow (male) intellectuals. Perhaps Charlotte was unhappy at the unfairness of it all, that the province of solitary wanderers must all be men (and written by men in the Romantic era). Then it was socially more acceptable to be a morose, brooding male intellectual but a woman who did that was considered strange. Eccentricity was back then more compatible with men. I love this post, especially the part about the "female wanderer." 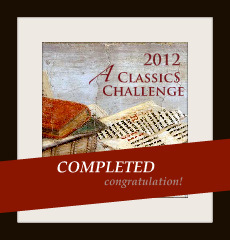 I have not read a Bronte novel in a long time, but this makes me want to re-read them. To me, this mis-portrayal of female characters is still a problem today, albeit in different types of stereotypes than what existed in Bronte's time.